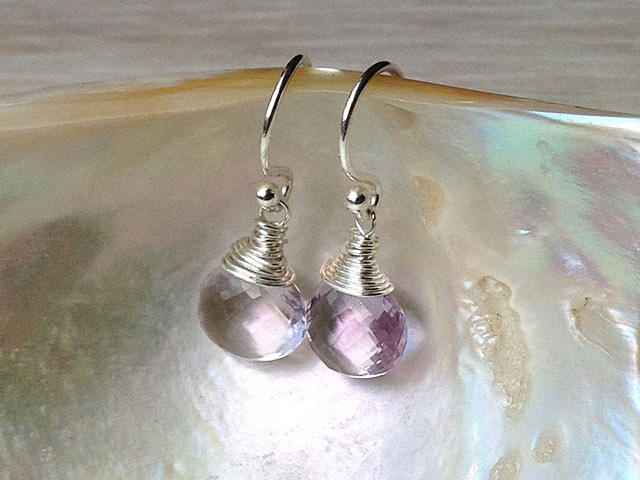 Stunning high grade micro faceted pink amethyst earrings carefully wrapped in sterling silver. Top quality gems. 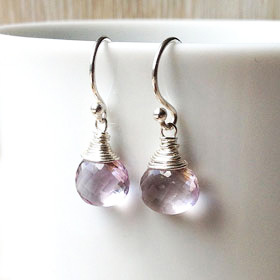 Crystal clear, pink amethyst reflects a dainty pale lilac color which varies with the light. Slightly sparkly! Length: 25mm. Gemstone 8mm. Sterling silver hooks. Made to order.